Christmas is a time for family traditions. But with more Brits embracing flexitarian diets than ever before, why not put a vegetarian twist on some of the classics this year? With meat-free officially hitting the mainstream, and famous chefs such as Anna Jones and Nigel Slater trying their hand at the alternative Christmas, 2017 is set to see more meat free meals on the festive dinner table than ever before. It’s easy to over-indulge during the festive period, but Quorn’s brand-new Gammon Roast and Sausage Rolls offer healthier alternatives that are both sources of fibre and protein. Whether it’s traditional turkey or chicken, beef or salmon, every family has their own Christmas favourites. But with 83% of British families revealing they enjoy meat-free dinners on a weekly basis, why not try jazzing up the main event with a delicious alternative – Quorn’s Vegetarian Gammon Roast. This brand-new product serves four per roast and is not only gluten-free, but high in protein and fibre and low in saturated fat. Enjoy the sumptuous and smoky taste of Quorn’s healthier Vegetarian Gammon Roast, at just 121 calories per serving. The trimmings are arguably just as important as the main, roasted event! 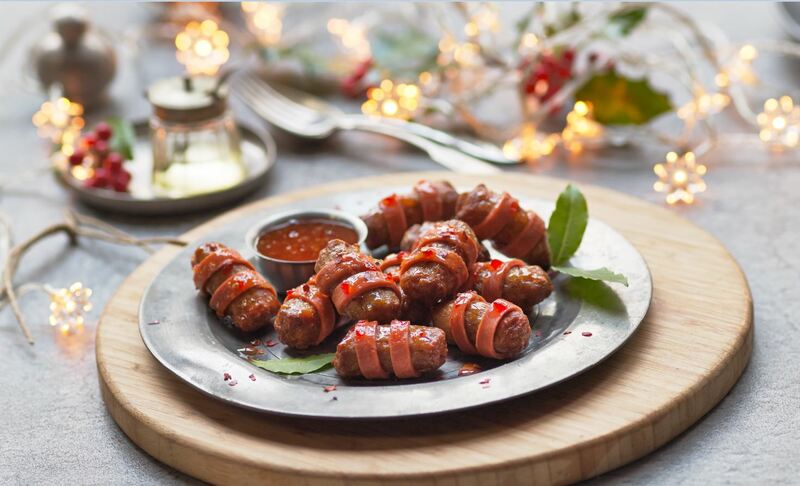 Mouths water at the thought of traditional piping hot pigs in blankets, but this year, why not try Quorn Pigs in Blankets recipe using Quorn’s delicious Cocktails Sausages and Vegetarian Bacon Slices? Fancy modernising your traditional sausage and onion stuffing? Cut into small chunks, Quorn’s Meat Free Pieces and Chestnut Loaf is the perfect, healthier alternative to traditional stuffing. 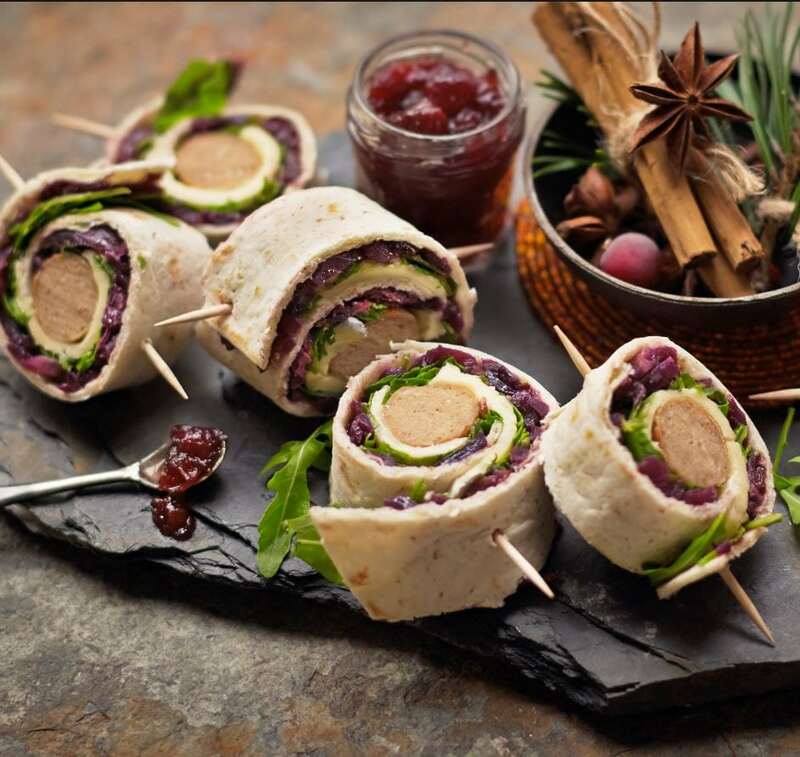 But don’t forget the canapés – try Quorn’s Sausage Wraps featuring cabbage, apple and nutmeg. The delicious Chipolata Sausages are wrapped in a traditional combination of brie and cranberry, and then encased in a not-so-traditional tortilla wrap. Add some apple and balsamic vinegar to give that special crunch and enjoy with a glass of bubbly! The food fun doesn’t stop after Christmas Day. 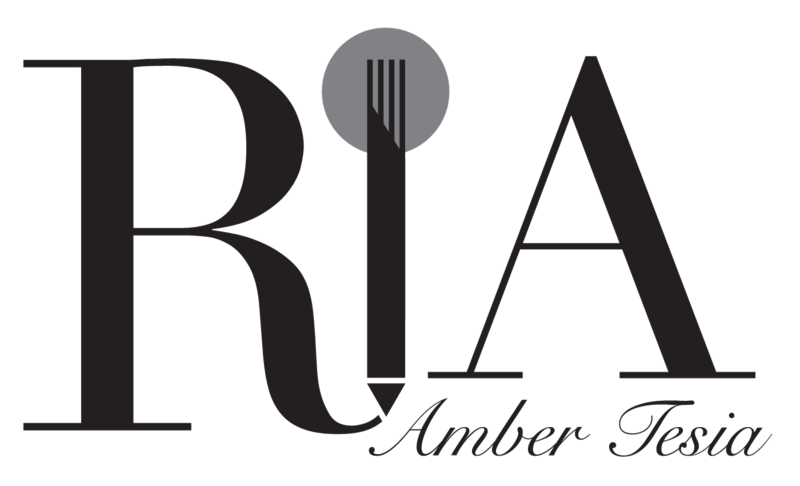 Get your family and friends together to indulge once more in a Boxing Day Buffet. Quorn’s new Sausage Rolls offer a herby and succulent bite, wrapped in soft puff pastry – simply warm through and cut into bite-sized chunks to enjoy as a canapé. The best news is, on average you can save nearly 50 calories by switching to Quorn Sausage Rolls over their meat counterparts. Quorn also offer deli options, including the popular Cocktail Sausages and Picnic Eggs, which are the perfect buffet nibbles to accompany homemade Quorn Mini Quiche Lorraine and spicy homemade Quorn Mince and Lentil Bites. 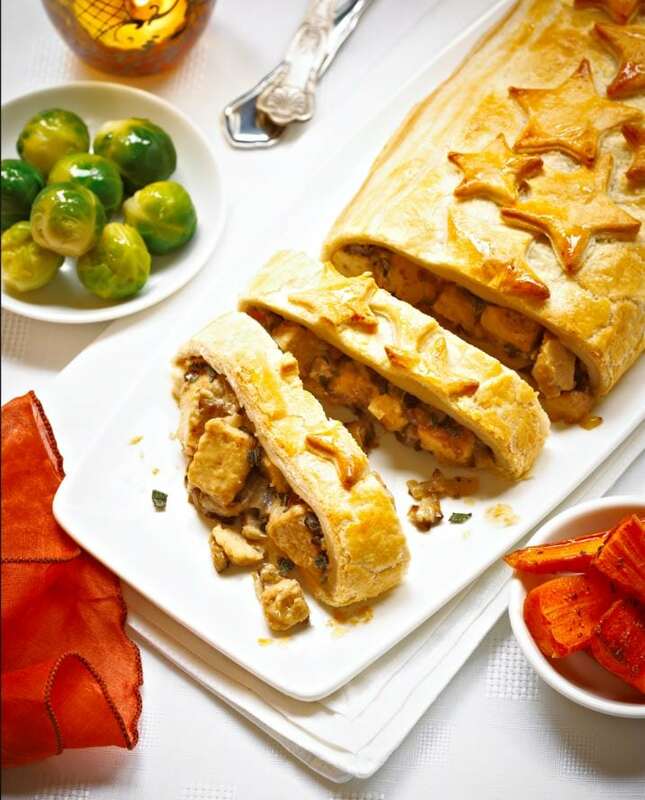 Finally, for the pièce de resistance, tuck into the Quorn Pieces Festive Roll. Encased in golden, flaky puff pastry, the mushrooms and chestnuts make this a winter classic that’s both big on flavour and makes an impressive centrepiece on the buffet table. Are you looking into researching a meat-free Christmas? I’d love to hear about your cooking tips for the big day. Here are a few recipes to get you started. Enjoy!